This year I've been working on new Article Response sets to use as ongoing practice and homework with sixth graders. They have worked wonderfully all year and I'm thrilled to share them. All of the response sets are set up in a similar pattern: cover sheet, summarizing prompt, response prompt, and text. Each also has a comprehension quiz. At the start of the year, I planned to send these home as homework. As the year has progressed I've changed my thinking! We start class with ten minutes of independent reading followed by ten minutes of working on the texts and responses. Some days I do a mini-lesson about summarizing or writing a response, while on other days students partner read. A two-week span for each packet gives us enough time to have thoughtful conversations without feeling pressured to produce. 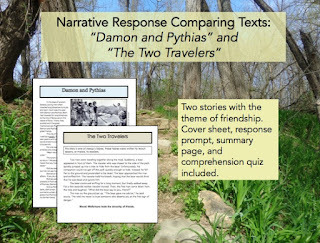 "Damon and Pythias" and "The Two Travelers"
The latest two sets have been focused on comparing narratives. I think that comparing texts is such a meaningful, authentic purpose for close reading. When kids read two texts and spontaneously offer comparisons, I know that good things are happening! This text set pairs a retelling of "Damon and Pythias" with a version of the fable by Aesop "The Two Travelers". Both of these stories examine the meaning of loyalty and friendship, but in very different ways! For students dealing with sixth grade drama, the concept of loyalty is fascinating to discuss. We acted out both stories in class. Acting out stories helps readers to grasp the action and better understand the events. When it came time to summarize "Damon and Pythias", students really were able to consider which events were important to the outcome of the story and which were not! The fable "The Two Travelers" teaches a lesson about friendship through a non-example, and raises an interesting question for students--did the bear in the story really talk? "Damon and Pythias" is also the basis for the 2003 film Sinbad: Legend of the Seven Seas. If you are working on comparing texts, this is a great opportunity to compare a story to a film. 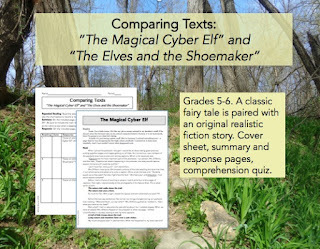 "The Elves and the Shoemaker" and "The Magical Cyber Elf"
This text set has been perfect for reviewing key content for standardized testing! I started with thinking about the classic fairy tale "The Elves and the Shoemaker". How could this story be translated for modern times? Because I am currently up to my ears in yearbook work the modern story "The Magical Cyber Elf" came to mind. There have been so many great concepts to review with this text set. We used "The Elves and the Shoemaker" to review the parts of a plot diagram and talk about theme. Then, we used "The Magical Cyber Elf" to discuss point of view and how a shifting point of view can influence the unfolding of events in a story. We had some great conversations about how the themes of the two stories are very similar, even though the settings and conflicts differ. If you try these text sets, let me know what your students think! Students in my classroom have been working on writing a synthesis essay based on two different text passages. It's a process! This kind of instruction can often feel messy and unkempt, especially when the whole thing sprawls over multiple weeks. But I like to have the whole thing unfold in class. 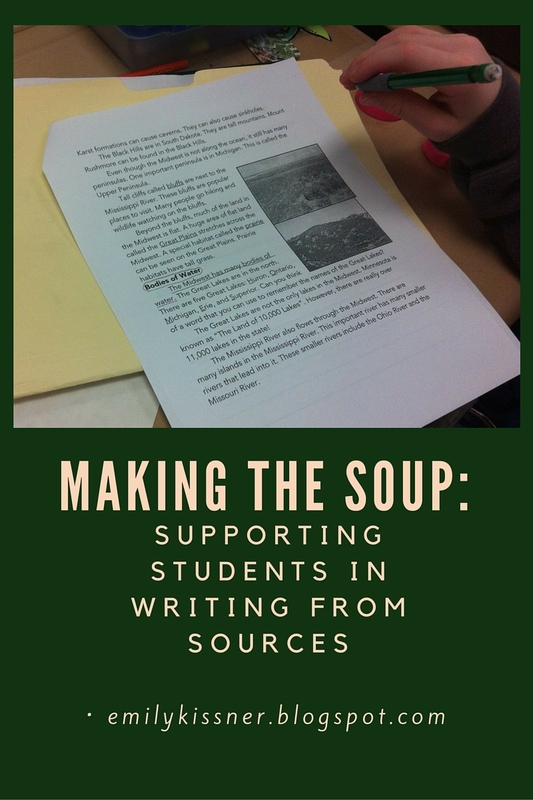 Having students write essays on their own is like sitting in the dining room while student cooks are making soup. Once the soup is served there's not much that can be done to fix it. But if you stand in the kitchen, watching the students cook, you can offer help and feedback through the process: "Maybe not so much salt" or "You might want to cut the potatoes into smaller pieces." In fact, during a particularly tough writing task, I find that a checklist is especially useful. Not a checklist for students, but a checklist for myself as I observe students and see how they are doing. I circulate around the room and check off students as they complete each paragraph. Going out of order is fine--I actually encourage it--but I emphasize putting pen to paper and getting writing done. I don't have students line up to have paragraphs checked; I hate the practice of students lining up and waiting for a teacher's attention. Instead, I walk around, checking in with students who seem to be struggling and waiting to chat with those who are on a writing streak. I star paragraphs that seem to be working. In the class that I co-teach, this is important so that the two of us can stay on the same page. And I don't always agree with myself. "But you said it was okay yesterday!" a student complained after I told her to rethink a transition. What can I say? Writing is a subjective process. "Today I think you can do more," I told her. "Don't you agree?" The checklist also helps me to see when students move beyond a linear process and start thinking more recursively. "I have you checked off for three paragraphs, but it looks like you're starting over," I told one student. She replied, "My body paragraphs were coming out to be too long, so I changed my thesis and started over." Wow! Although it looked as if this students was lagging behind, she was really surging far ahead and doing just the kind of writing that we want to encourage in writers. As the project starts to wind down, it's tempting to say something like "All essays must be turned in by Friday." But this is the same as sending a junior cook into the kitchen to make the soup alone. The students who take the longest are the ones who need the most support. And so it's important to have robust enrichment activities in place. In my classroom, I use independent reading, Genius Hour, and ActivityCircle.com to engage students once they finish the assigned essay. This way, I can help those who are working while others move on to new challenges. Synthesis writing is a drawn-out, recursive process. It does take a lot of class time, and it takes a great deal of self-control (not to mention sang-froid) to keep myself as a teacher calm while the whole process plays out in class. There's so much more to cover! I tell myself, but I steel my nerves as I watch the students at work. Managing multiple sources and sticking to a thesis is a tough task. I'm lucky to be able to watch it happen. 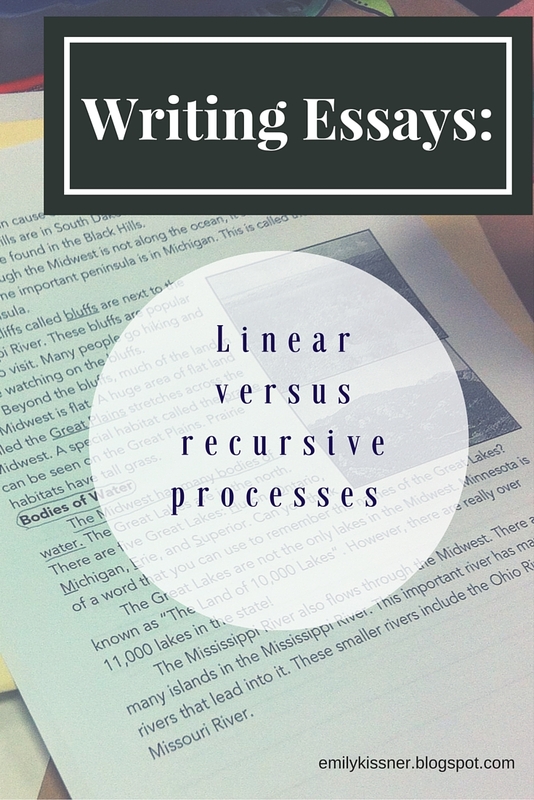 Writing passage-based essays and other synthesis tasks are important for students. However, these tasks can be very frustrating for teachers! The frustration comes from the issue of how classroom work is accomplished versus how creative work is accomplished. In the classroom, a linear workflow rules. I write these kinds of directions on my board every day: First complete step one, then go on to step two, and so forth. 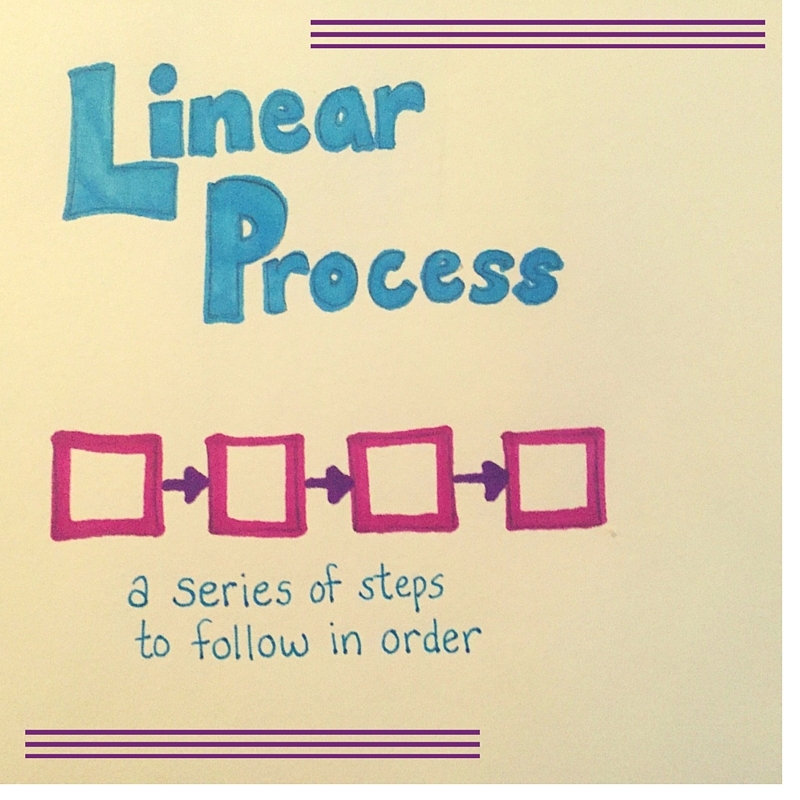 Linear processes work well for managing many students and many assignments. A linear workflow shapes a task into approachable chunks. 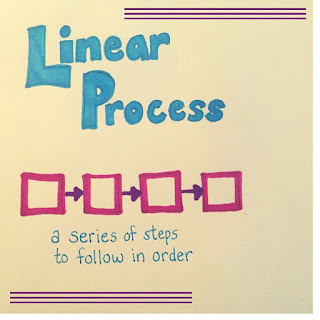 Unfortunately, a linear process just doesn't work for high-quality writing. In fact, a study of synthesizing found that a linear writing process is associated with lower quality synthesis (Sole et al, 2013). Readers who follow a linear process, with each step following the other, miss connections between ideas. They fail to follow up on key concepts and don't show as deep of an understanding of the text. 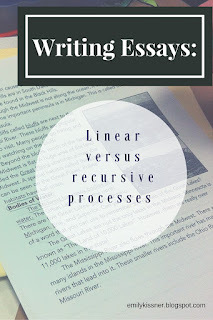 The best process for a synthesis task like a passage-based essay, as it happens, is a recursive process. 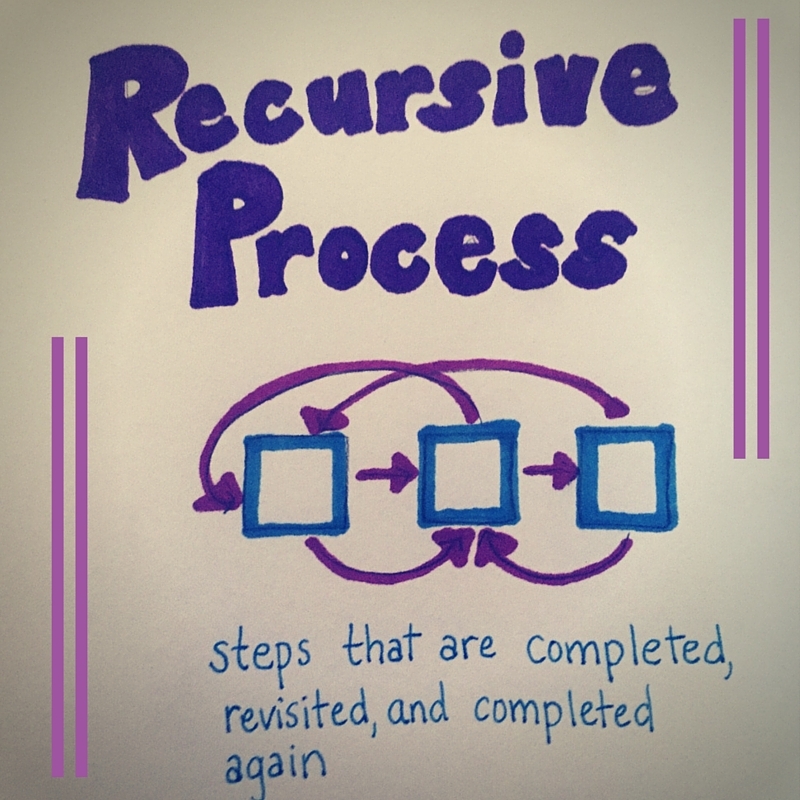 A recursive process sees a student shifting flexibly back and forth between tasks. Step two doesn't always follow step one, and sometimes step three leads back to the beginning. It's easy to see how this kind of process can be tough to manage in the classroom. Many traditional classrooms are built on an assembly line model: Get a task, finish it, get the next. 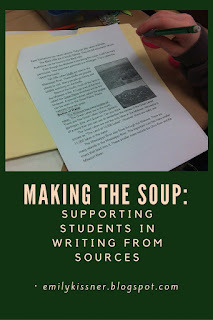 -How can I help students to revisit key steps in the writing process? -How can I model a recursive process as a reader and writer? -How can I structure my classroom to allow more time for synthesis tasks? The answers to these questions aren't easy! I'm still struggling with them myself. I like to think that this productive struggle on my part as a teacher will lead to productive struggle--and creative benefits--for my students.